The island of Cyprus, third largest in the Mediterranean, is a land divided. The southern and western parts of the island are controlled by Greek Cypriots and is called the Republic of Cyprus, while the more eastern part is controlled by Turkey and is called the Turkish Republic of Northern Cyprus (TRNC). Only the Republic of Cyprus is recognized as a country, as the TRNC is recognized only by Turkey. The United Nations maintains a peacekeeping force along the border between the two groups, although there haven't been any instances of violence recently and there is some indication that some kind of reuinification could happen. It used to be that travelers who wished to go to the TRNC and then back to the Republic of Cyprus would have trouble, but with the advent of the EU that isn't supposed to be the case anymore. The Cyprus embassy in the US has recommended, however, that American passport holders would be better off entering from the "legal" points on the Greek side. Start with Cyprus Travel Facts. Nicosia is the historic - and divided - capital. Venetian walls surround the city, but the center is like a living museum. There are plenty of museums, churches, and archeological sites, yet the city is not overloaded with tourists. This is also known as a party island, so most people come for the gorgeous Mediterranean beaches and the beach cities pulsing with nightlife that lasts well into the next day. You'll want to book a flight into Larnaca International Airport (code: LCA), which is on the outskirts of Larnaka. In-season fares can be quite reasonable from all over Europe. 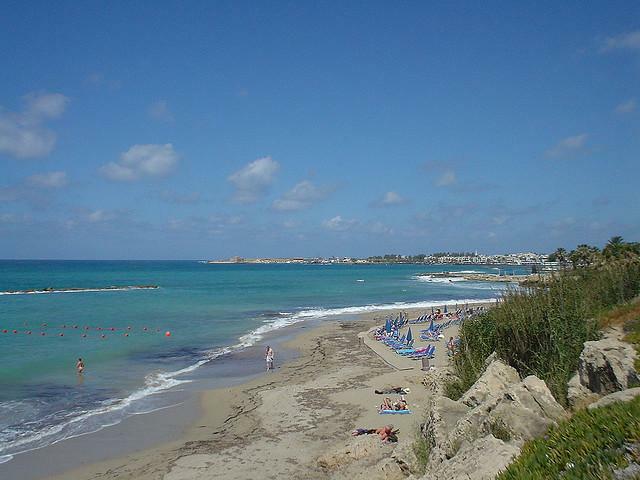 You'll find many hotels all over Cyprus, and a handful of hostels too. This is mostly a beach resort area, so those places can get booked up early in season.